We cook all of our burgers made to order over a hardwood fire. The way a real burger should be cooked. We use 100% grass-fed beef, line-caught fish and humanely raised poultry. Our fries are hand-cut every single day and we fry them twice in Wagyu beef tallow. The way real fries should be. In addition to our staples, our menu reflects the abundance of seasonal products available in Vermont. A Rotation of Assorted House Made Treats. 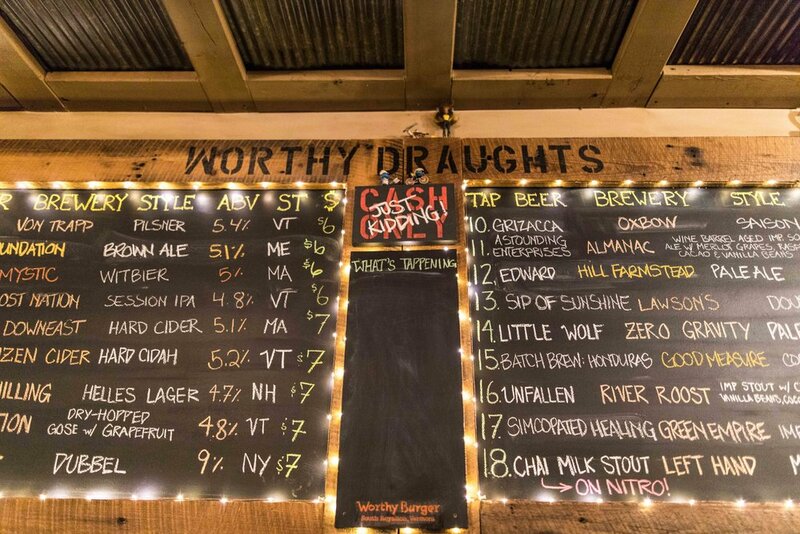 We offer an ever-changing lineup of craft beer and cider from Vermont and beyond. Check out our Untappd. 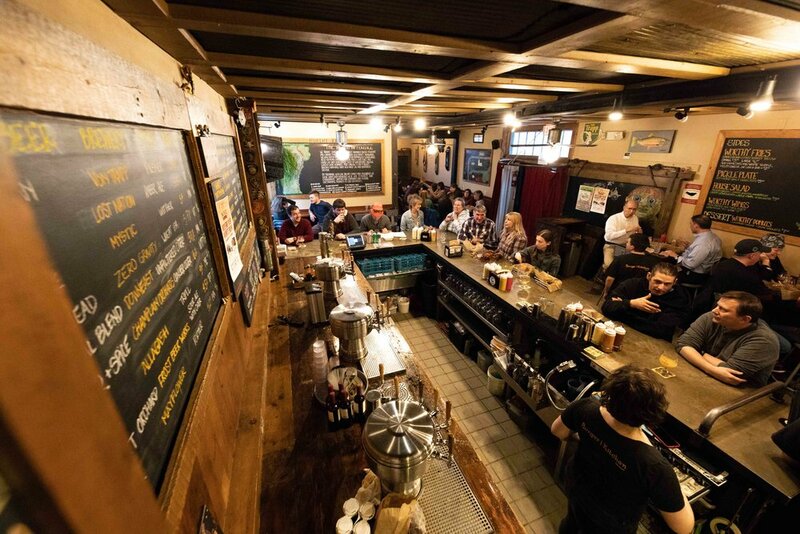 We proudly occupy an old freight house on the other side of the tracks in South Royalton, Vermont.